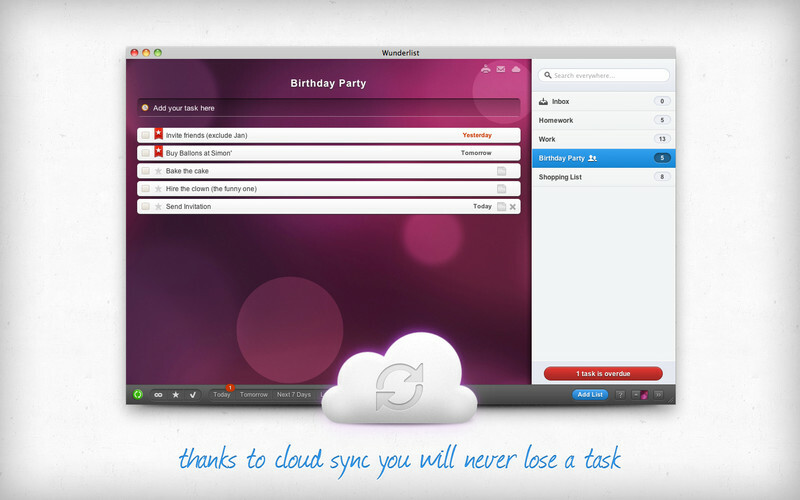 Download Wunderlist, our free cloud-sync task manager, and share your lists with friends and colleagues. 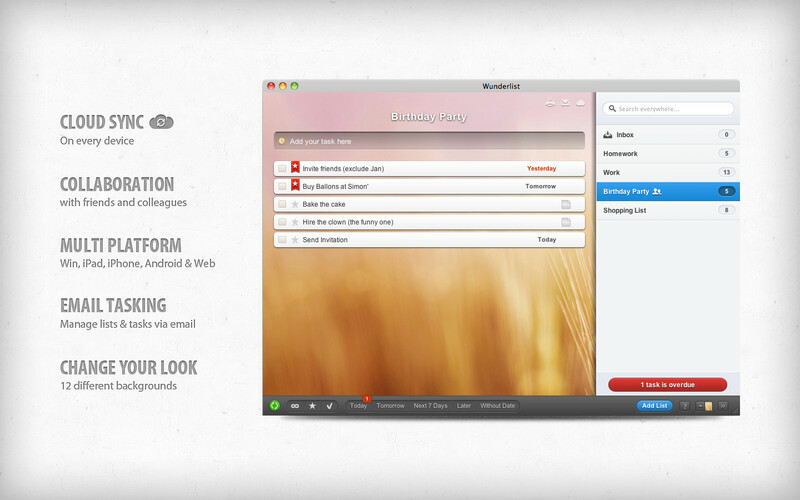 Wunderlist Desktop will boost your productivity. Manage your to-dos and synchronize them with your free Wunderlist account. View and modify your tasks on Windows, iPad, iPhone/iPod Touch, Android and the Web. Hundreds of thousands of people worldwide use Wunderlist everyday. 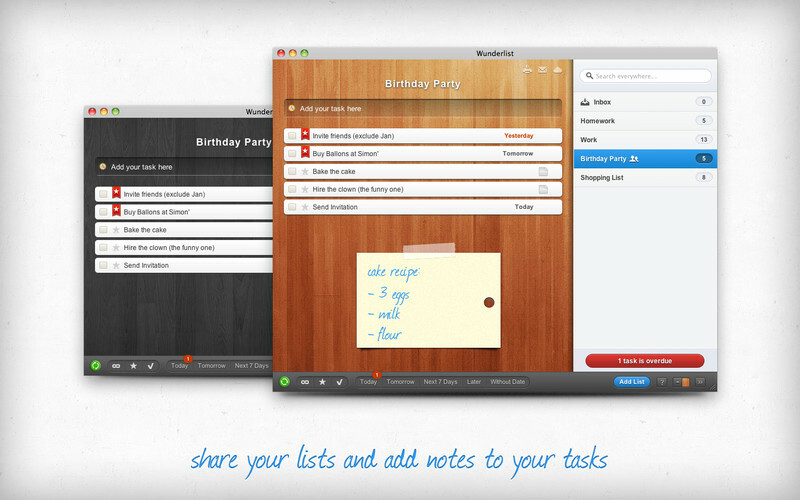 Wunderlist - your tasks anywhere, anytime. Already a fan of us?